One control surface is included with purchase of mainframe. Additional control surfaces, up to four per system, may be added at any time. STAC6 control surfaces can be upgraded to STAC12 in the field with our Sidecar Expansion Kit. The clean, logical design allows functions to be mastered quickly. 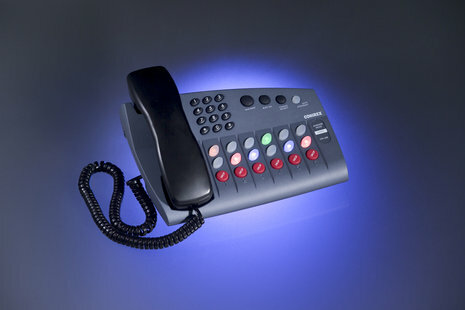 Dedicated buttons, with associated multicolor LEDs, minimize the number of button presses and make it easy to determine status of phone lines and callers. Any control surface can operate in Studio/Producer or Screener Mode and can quickly be configured via DIP switches on the rear panel of each surface. 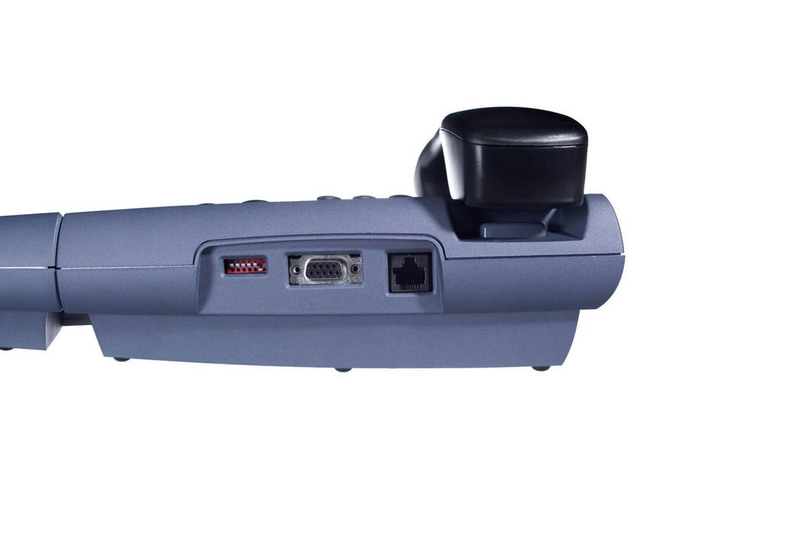 The STAC Control Surface is designed to use standard Cat-5 wiring to link the control surfaces to the mainframe. No proprietary cabling or additional power source is required for control surface connection. 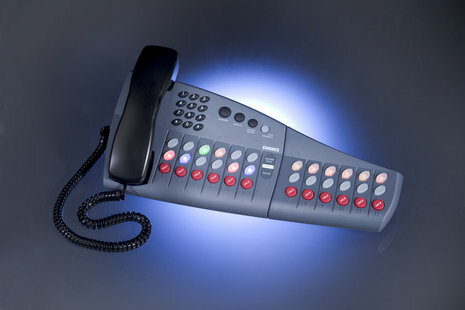 The top row of buttons performs off-air call answering, including placing calls on hold or releasing them. Callers selected from these controls communicate via the control surface handset. Bicolor green/yellow LEDs indicate whether the line was answered at this control surface or another. The middle row of buttons is used to signal screening status to studio/producer control consoles, place callers on hold and to change priority. A screener cannot place callers on air. Bicolor red/blue LEDs indicate which lines are on hold, which lines are on screened hold, and priority status. The bottom row of buttons drops lines that have been selected using the top row of buttons. The top row of buttons performs off-air call answering, including placing calls on hold or releasing them. Callers selected from these controls communicate via the control surface handset. Bicolor green/yellow LEDs indicate hold and priority status. The middle row of buttons places callers on air, with or without screening. Lines will drop when another caller is selected. Alternately, by pressing the corresponding line button a second time, the line may be locked for conferencing and requires pressing the drop button to disconnect. Bicolor red/blue LEDs indicate which lines are on air, to which hybrid the lines are assigned, and whether the line is locked on air. The bottom row of buttons drops lines that have been selected from either the top or middle row. Followed by callers on hold who have not been screened, in order of length of time on hold. Change Priority function overrides the default priority to select and indicate the next caller to be to be placed on the air. lines are freed up and are now available to receive calls. Aux button controls logic output to turn on/off external recorder or delay. DIP switch configurable as momentary or latching. The Aux function on each control surface operates independently of the others. In Studio/Producer mode, this button may alternately operate as a “Next” button, seamlessly putting the next priority line on the air. 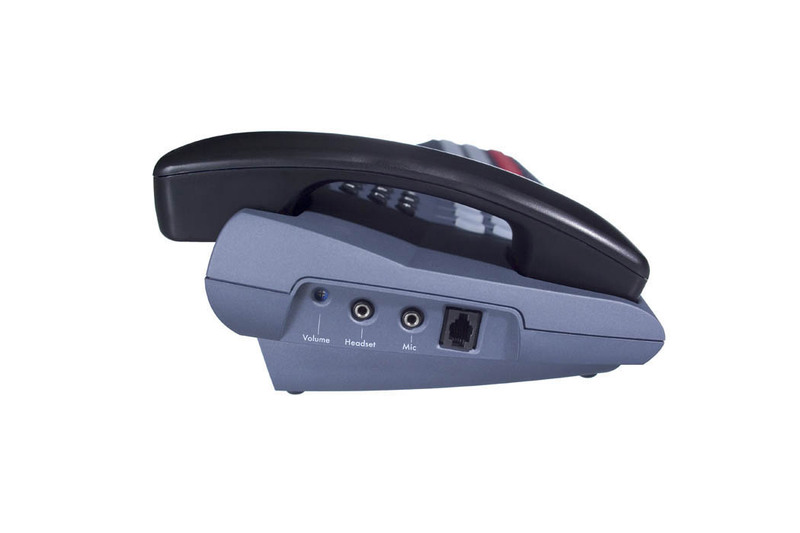 Jack provided for headset connection to provide alternative to handset.